Time Out London № 1244. - 1993 (перепечатано в Time Out Москва № 40 / 8 - 14 октября 2007). Cameron Docherty. 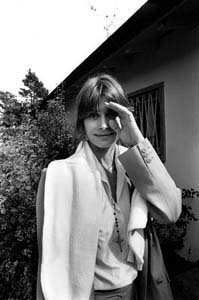 Interview: Nastassja Kinski - Still a daddy’s girl … // The Independent, 26 September 1997. Ashwin Pinto. I want to do different things, or rather - do things differently // Indiantelevision.com (Andheri, Mumbai, Indien), 23 августа 2003. ↑ Harlan Kennedy. «A Perfect Tess». American Film. October 1979. ↑ 14,0 14,1 14,2 14,3 14,4 Wayne Warga. A Late Date With Nastassia Kinski// Cosmopolitan, 1982. ↑ 19,0 19,1 19,2 Coppola, Francis Ford; Phillips, Gene D.; Hill, Rodney. Francis Ford Coppola: Interviews. Univ. Press of Mississippi, (2004) p. 136. ↑ Какова основная мысль фильма «Многоточие»? ↑ Bentley L. An Exultant Nastassja Kinski Shows Off Her Healthy Son-and Her Future Husband // People, July 23, 1984 Vol. 22 No. 4. ↑ Docherty С. Interview: Nastassja Kinski - Still a daddy’s girl … // The Independent, 26 September 1997. ↑ Jones and Kinski parents of baby girl // Jet, March 1, 1993. Федоров А. В. Настасья Кински - принцесса экрана // Видео-Асс экспресс. 1994. № 29. С. 42-47.